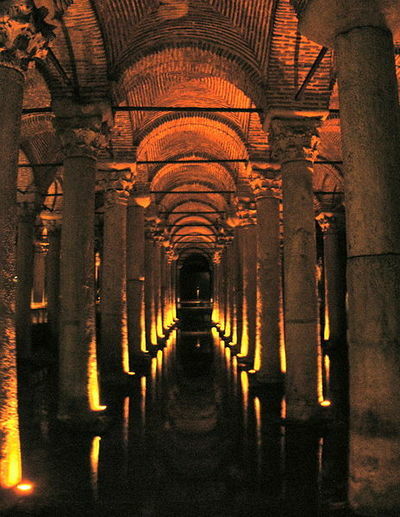 This incredible urban undergarment is open to the public, but be sure to book your flight to Istanbul not Constantinople. Was Napoleon killed by his wallpaper? Twenty years after he died in exile on St. Helena, Napoleon's body was exhumed for reburial in Paris. The exceptional preservation of his corpse, which could be chemically tested along with years' worth of hair cuttings, revealed that his body contained high levels of arsenic. 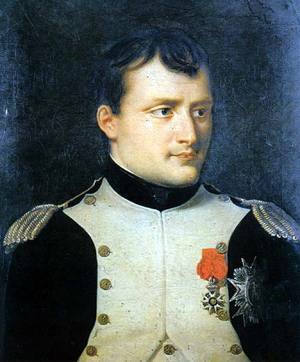 The symptoms of Napoleon's final illness were also consistent with arsenic poisoning. Armchair analysts theorized that he had been done in by the British or by a jealous husband. But Emsley argues that Napoleon was killed by his wallpaper—or more precisely, drawing on the work of an Italian scientist named Bartolomeo Gosio, by the green, arsenic-rich pigment in the wallpaper's star pattern. At the end of the 19th century, Gosio was prompted to investigate why so many Italian children were inexplicably sickening and dying. Physicians suspected arsenic poisoning. Gosio demonstrated that a microorganism that grew on the flour-paste backing of the wallpaper could turn the arsenic in it into a gas that was powerful enough to make people ill and even kill them. If Napoleon chose the colors of his wallpaper to commemorate his imperial colors, Emsley writes, "[H]e did himself no favours … though they reminded him of his glorious past." Napoleon seems to have been a victim, like so many others, of a surreptitious killer. But he may have been poisoned by his own vanity rather than by a self-protective lover, a grasping wife, or a woman like the Lucrezia Borgia of historical repute. Arsenic not only persists in the remains of anyone who has ingested or inhaled it, but it also acts as a preservative. 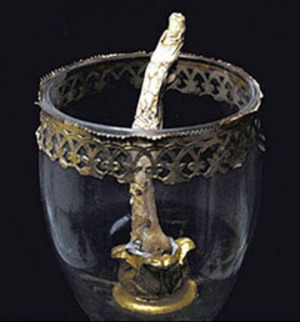 It has been employed in embalming solutions and in dry preservatives used by taxidermists such as Becoeur soap , which was "made of arsenic powder, camphor, tartaric acid and lime" or "the arsenic soap made of white soap flakes, arsenic salts, potash, camphor, alcohol and water, borax powder . . . " etc. (Tissier & Migne). The "miraculous preservation" of corpses can sometimes be attributed to the presence of arsenic in the soil in which they have been buried . Any way you look at it . . .
During the Third Crusade, Henry II of Champagne, king of Jerusalem, perished due to defenestration. The story involves a first floor window and a dwarf. The version I read was that he tripped over his dwarf servant and fell out the window. Though this story has the most flair, I suspect it's the least likely. Other stories say the dwarf was just trying to pull him back up, and did not have mass on his side. In any case, by all accounts his dwarf servant fell out of the window as well, I guess there's no need to gild the lily. 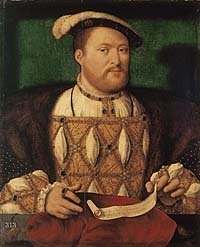 Some stories suggest that Henry would not have died if the dwarf had not landed on top of him. 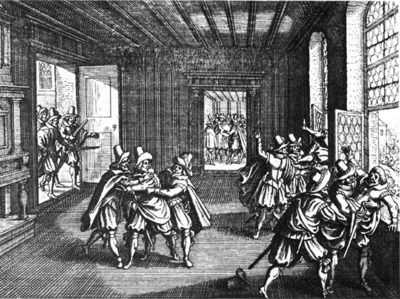 So, chalk up another eminent victim to the scourge of defenestration. At Prague Castle on May 23, 1618, an assembly of Protestants (led by Count Thurn) tried two Imperial governors, Wilhelm Grav Slavata (1572–1652) and Jaroslav Borzita Graf Von Martinicz(1582–1649), for violating the Letter of Majesty (Right of Freedom of Religion), found them guilty, and threw them, together with their scribe Philip Fabricius, out of the high windows of the Bohemian Chancellery. They landed on a large pile of manure and all survived unharmed. Philip Fabricius was later ennobled by the emperor and granted the title "von Hohenfall" (lit. translating to "of Highfall"). The second is by Joos Van Cleve, c. 1535. No wonder he grew the beard. 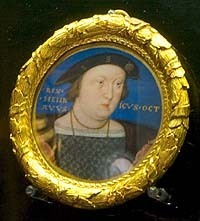 From the Hampton Court exhibit. To be a baker’s boy in eighteenth-century Paris must have been pretty close to hell. You were effectively a slave, both to your master and to the intricate demands of sourdough fermentation. The working “day” began close to midnight. Wearing rough, uncomfortable underwear made from old flour sacks, you were forced to knead as much as 200 lb of dough at a time, using nothing but your hands and – in desperation – your feet. This kneading took place not once but many times over the night, usually in a clammy cellar too dark for you to see what you were doing, and so hot that the dough sometimes melted before it had risen. The baker’s boy in charge of kneading was known as le geindre, the groaner, on account of the blood-curdling noises he made as he worked. When you were finally granted rest, sometime in the morning, you were obliged to sleep in the blinding heat of the bakery. After three hours, you were forced to wake up again, to minister to the sourdough starter, which, like a newborn child, required round-the-clock feeding. In 1788, the journalist Louis-Sébastien Mercier described how unhealthy bakers’ apprentices looked. Unlike butchers’ boys, who were robust and ruddy, bakers’ boys were flour-coated wretches, huddling in doorways, haggard and white. Today is the sixth of June.